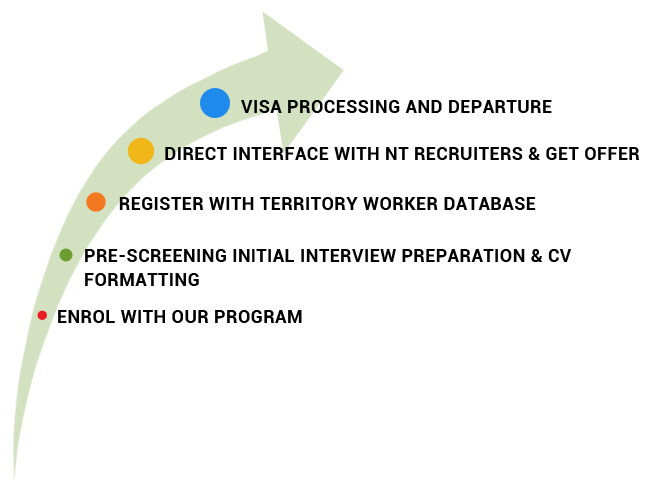 Australia’s New Designated Area Migration Agreements (DAMA) Working Visa Option makes it easier for skilled professionals, especially those with VET skills, to start their journey to regional Australia without any hassles. As job opportunities continue to rise in the Aged & Disability Care and Child Care, HCI’s Australian Certificate / Diploma Programs (Online & On-campus) provides GNM/BSc Nurses with a great career choice in Australia. Placement assistance in regional sectors as Aged or Disabled Carer, Child Care Worker, Disabilities Services Officer, Early Childhood (Pre-primary School) Teacher, Family Day Care Worker, among others.